CG Says: The 2019 Mitsubishi Outlander has revised suspension and steering that Mitsubishi claims gives better ride and handling. All models gain rear air vents and most models now have a rear USB port. There is also freshened frontal styling. Outlander is a compact crossover SUV with three rows of seating for up to seven passengers in conventional gas models. The PHEV hybrid deletes the third-row seat. The base powertrain is a 166-horsepower 2.4-liter four-cylinder mated to a CVT transmission. GT has a 224-hp 3.0-liter V6 engine paired with a 6-speed automatic and standard all-wheel drive. All other conventional gas models offer a choice of front-wheel drive or all-wheel drive. The PHEV plug-in hybrid combines a 2.0-liter 4-cylinder engine with twin electric motors for a combined 197 hp. The PHEV is capable of up to 22 miles on electric power only. All PHEVs are all-wheel drive. Available safety features include forward-collision warning and mitigation, pedestrian detection, and lane-departure warning. Multi-view rearview camera, adaptive cruise control, automatic high-beam headlights, keyless access and starting, and LED headlights are among the other available features. Though its overall refinement doesn’t match some class competitors, the Outlander is nevertheless a worthwhile entry in the compact SUV segment. The GT, with its standard V6 power and exceptional handling, is surprisingly fun to drive. 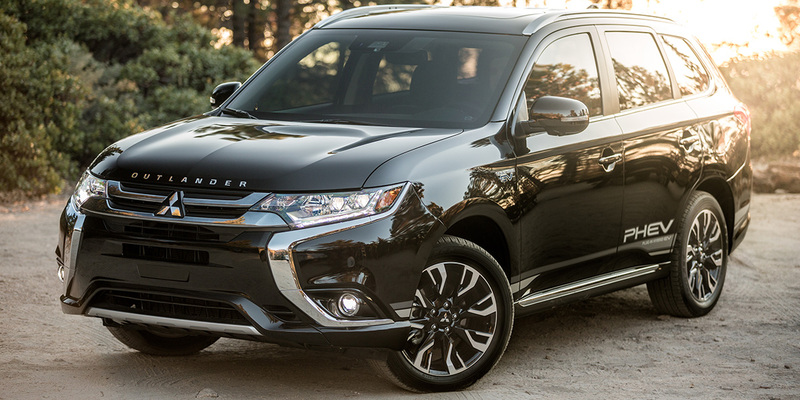 Outlander should appeal to two types of shoppers: those who want a sporty SUV at a reasonable price and those who covet 3-row seating but don’t want to drive a larger vehicle.